LABOUR IS RUNNING its party chairperson Loraine Mulligan in the Dublin West by-election later this month. Mulligan was the only candidate to put her name forward for the selection convention which took place in Castleknock this evening, despite speculation that one of a number of local councillors would run in the 23 May vote. Sitting Dublin West TD and Minister Joan Burton said that Mulligan is a “tireless advocate for workers, families and young people”. 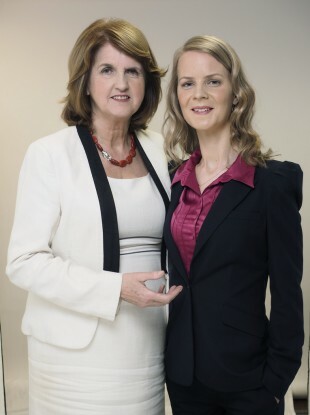 “She has been working closely with me for several years, on issues ranging from investment in new school, childcare and healthcare facilities to workers’ rights and the provision of employment, training and education opportunities for young people,” Burton said in a statement issued this evening. Local sources expressed unease about the party running an outsider – Mulligan is originally from Longford – in the constituency where it is not expected to retake the Dáil seat that it won in the 2011 by-election caused by the death of Brian Lenihan. Labour’s former TD Patrick Nulty lost the whip just weeks after he was voted in over opposition to the budget and later quit the party altogether. He resigned from the Dáil entirely in March after sending a number of inappropriate texts and Facebook messages. Local councillors Michael O’Donovan, Mary McCamley and John Walsh, a Trinity lecturer, had been among those mentioned as possible candidates for Labour. Mulligan was elected as chairperson of the party in November 2013 following a tight vote where she beat former general secretary Ray Kavanagh by just 22 votes thanks to the backing of the party leadership. She has worked as a researcher in the trade union SIPTU for a number of years and also serves on the board of the European Anti-Poverty Network. Other candidates running in Dublin West include Ruth Coppinger for the Socialist Party, David McGuinness for Fianna Fáil, Paul Donnelly for Sinn Féin, and Roderic O’Gorman for the Greens, and the independent David Hall. Fine Gael has yet to select its candidate but is widely expected to run senator and former Olympian Eamonn Coughlan. Separately the party has selected Gabrielle McFadden, sister of the late TD Nicky McFadden, to be its candidate in the Longford-Westmeath by-election which is also being held on 23 May. Email “Labour is running its party chair in the Dublin West by-election”. Feedback on “Labour is running its party chair in the Dublin West by-election”.